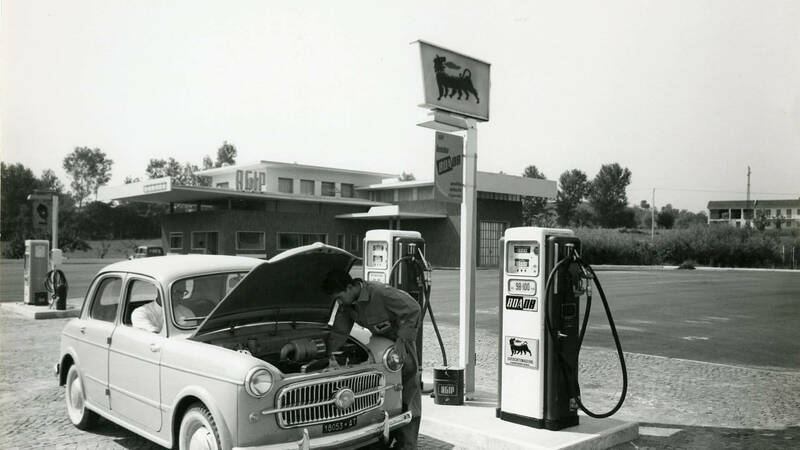 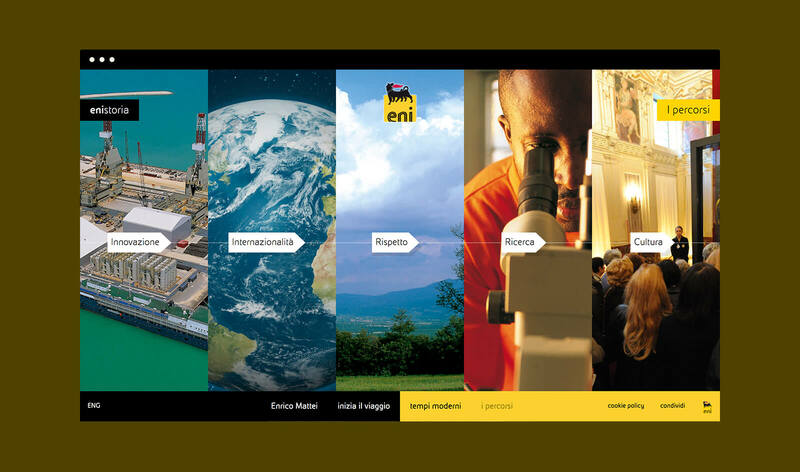 Eni, the leading italian energy company, has a glorius past, a solid present and a great future. 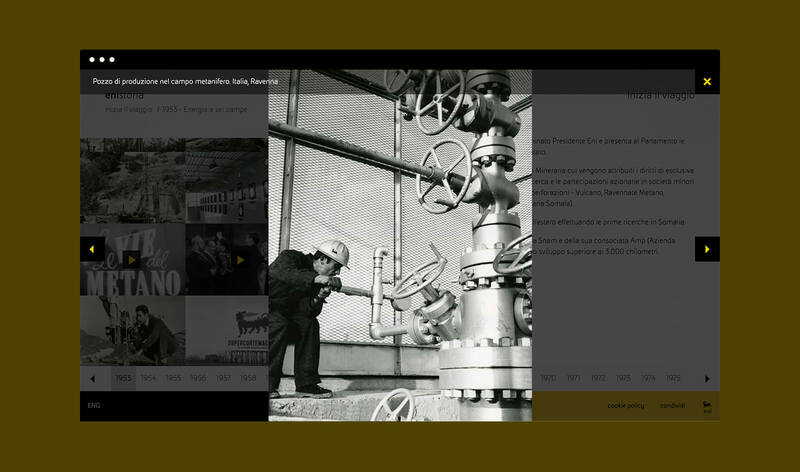 Through this project users knows the faces, people, meetings and decisions that changed the course of events in the company, in Italy and in the world. 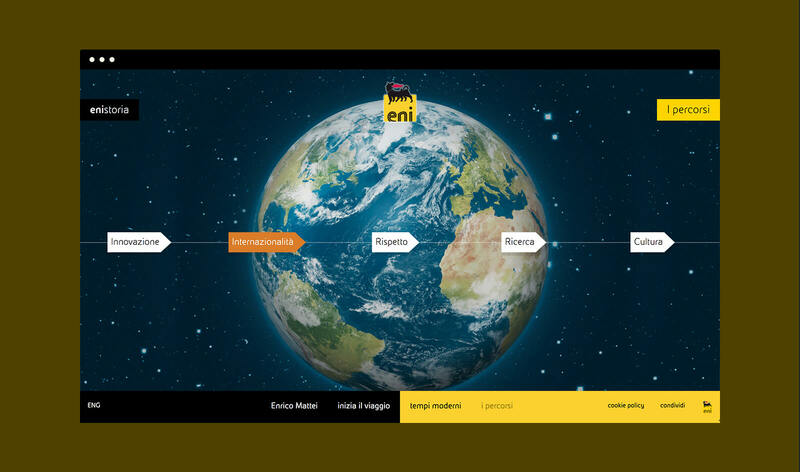 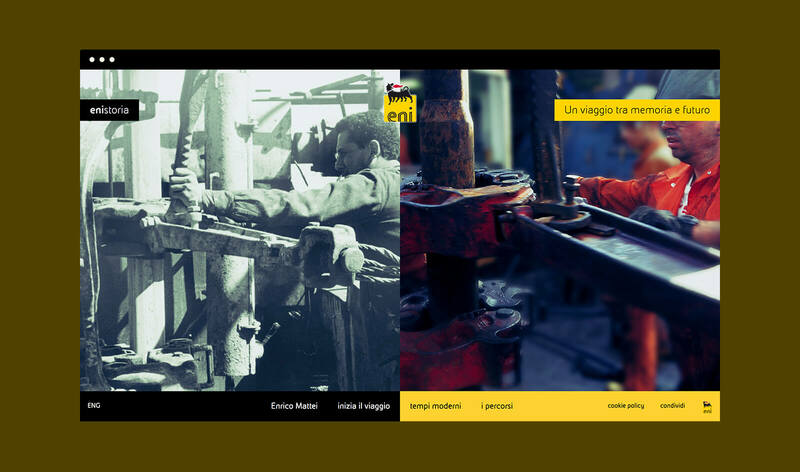 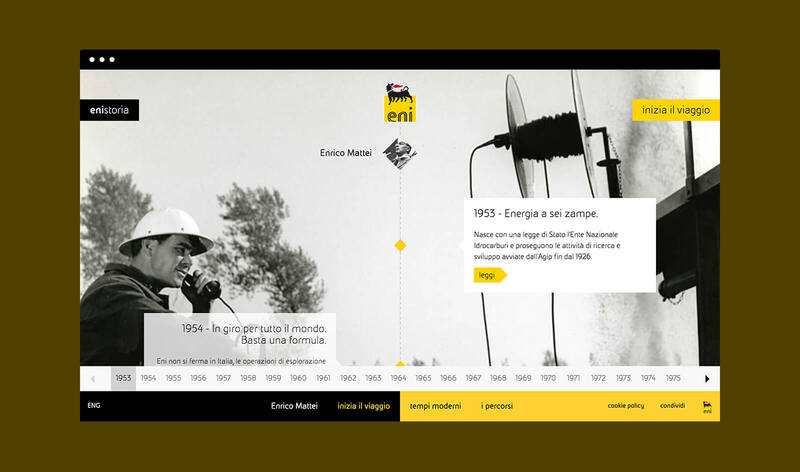 A journey through time, from Eni’s beginnings to the present, through the milestones of our history. 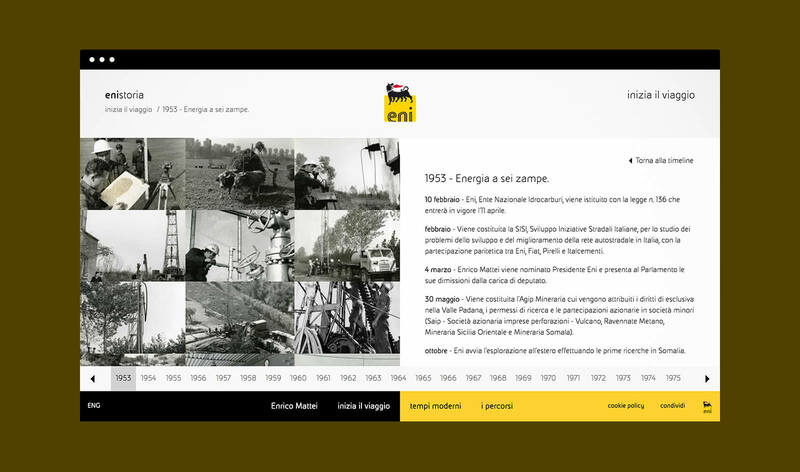 This multimedial historic archive offers two different timeline: one dedicated to past main event, one to present.